About the Product – Auravedic is a leading brand now a days in herbal products. 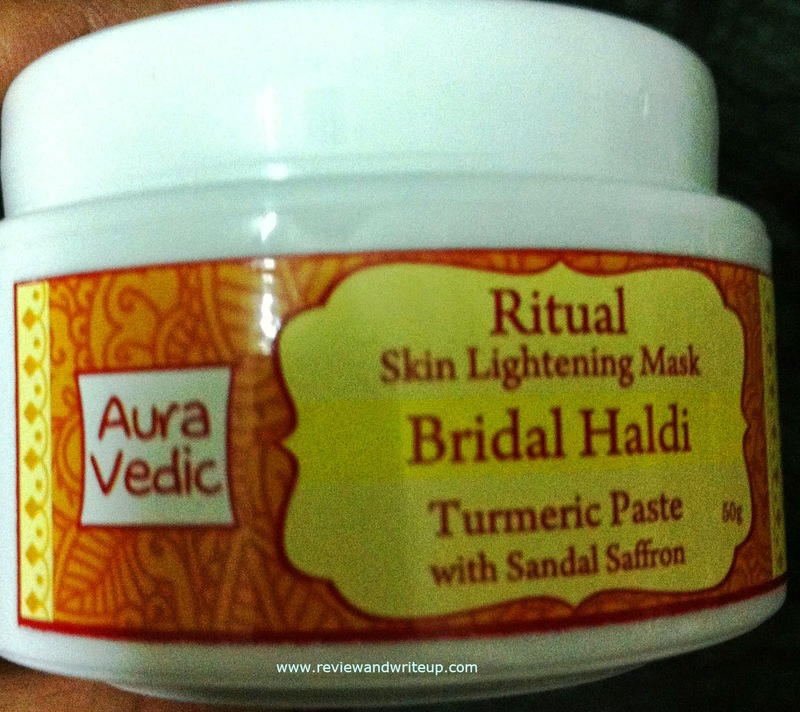 The first product of the brand I tried is its Skin Lightening Mask (Bridal Haldi). Here are my views on it. Packaging – Auravedic Skin Lightening Mask Comes in a small round white color tub with round twist up cap to seal it. I like how they have designed the outer cover using yellow (haldi) and orange-brown (heena) even you will see heena designs. I like how brand name is written in an attractive font which will make it recognizable from a distance. Once you open cap you will see the actual product is sealed with hard aluminum foil. Claims of the brand – The mask have been developed as per our traditional bridal haldi. That’s why all the ingredients used sounds familiar. Apply on skin and leave it for 30 minutes. After wash you will find fabulous glowing soft skin. 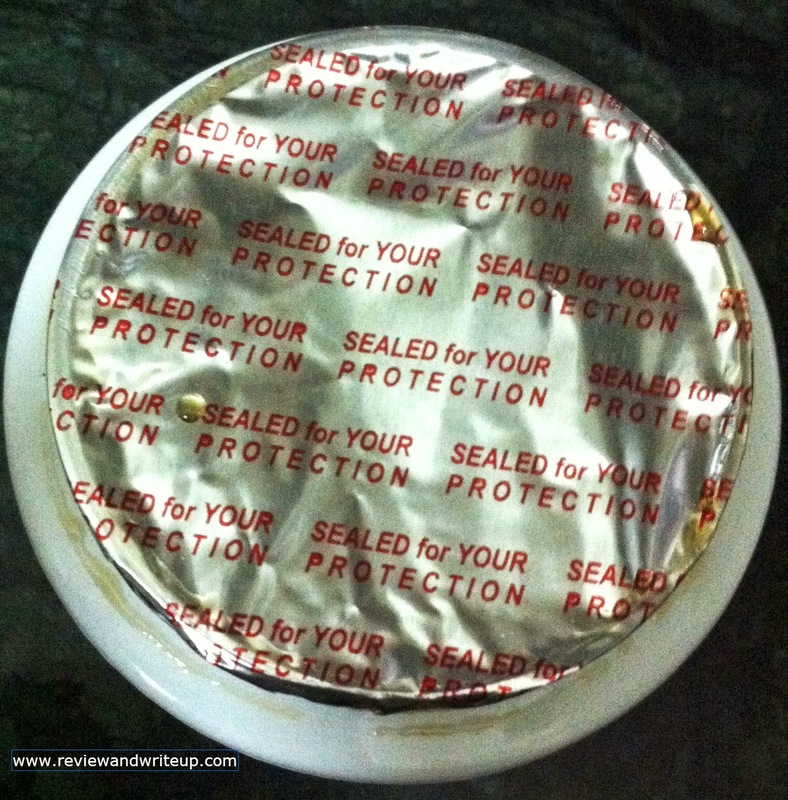 My experience – Once I removed the seal I was welcomed by herbal smell of the mask. One look you can easily tell that this mask doesn’t have chemicals in it. 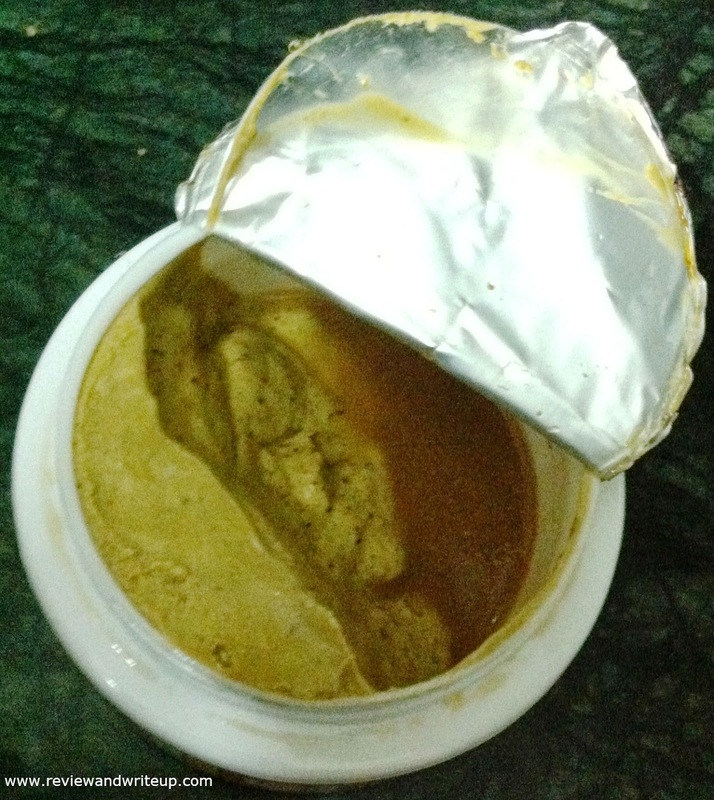 This pack is 100% natural which makes it all attractive for herbal product lovers like me. 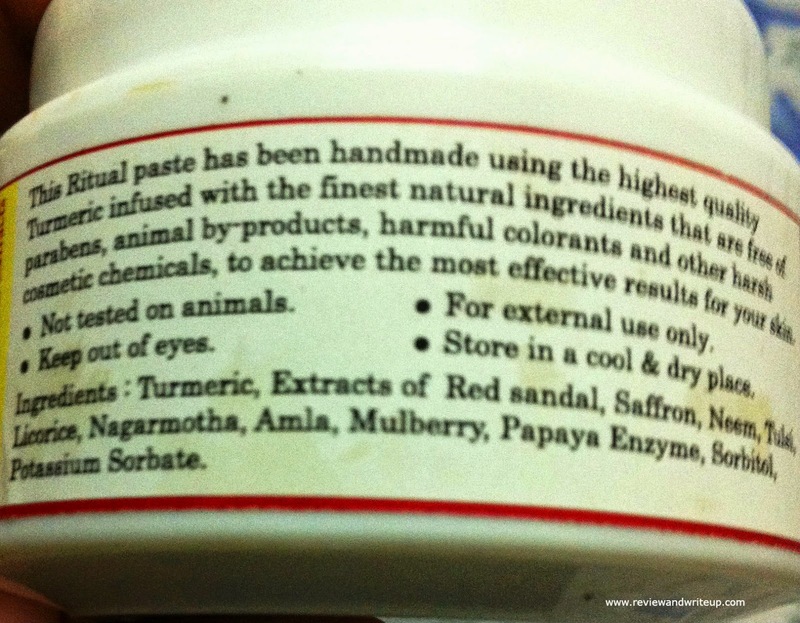 I was excited to use Auravedic Mask ever since I got it because of its ingredients like turmeric, saffron, sandal, tulsi, neem. It’s hard to make a face mask like this at home. I am so happy that Auravedic has made one for us. I first cleansed my face using face wash, and then I scrub my face using my favorite apricot scrub, then on my dampen face I applied the thick paste of mask. Since we are required to leave it for 30 minutes so I did so. I utilized the time to watch my favorite show HIMYM. When I applied the mask I could feel little tingling in my skin because of presence of all natural ingredients. So whenever you apply just relax it won’t affect your skin. After few minutes that tingling sensation will fade away. In fifteen minutes you will feel mask has started drying and it doesn’t make skin tight like it happens with homemade packs. Summers means tanning for me, however I was using sunscreen still I could feel that my face had become tanned. Once I washed away my face I could see difference in my skin shade. All tanning was gone with mask residue. There was visible glow on my face. I didn’t felt need to moisturize my face after wash so I didn’t applied cream at all. 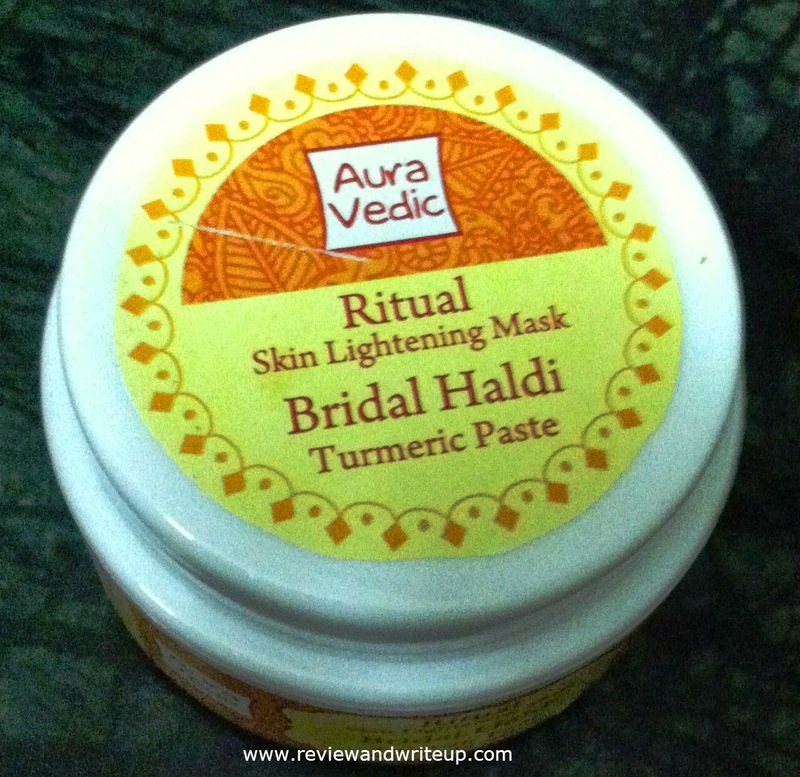 Skin was like baby soft and the kind of glow comes with bridal haldi that was the glow Auravedic mask gave to my skin. I like its packaging and it could be easily carried around in bag. R&W Recommendation – Healthy glow is always my way. This mask is natural and will add natural glow to your skin. It comes in an easy price and one small tub could be used easily for 5-6 times. I would say buy one for sure as it will help us in fighting tan in summers.